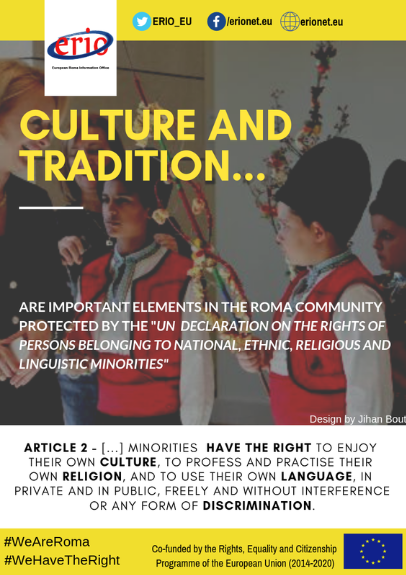 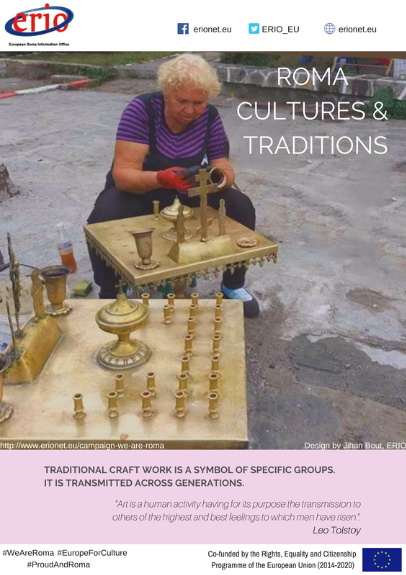 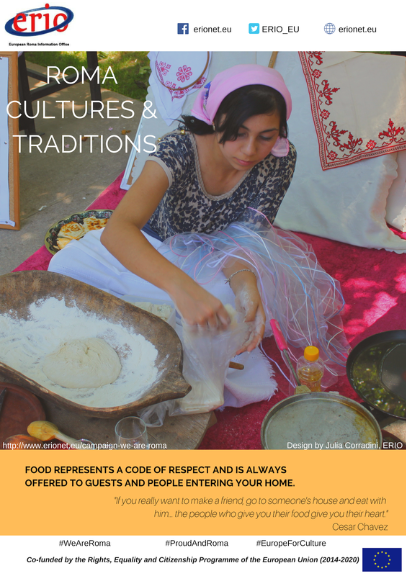 Within the 2018 European Year of Cultural Heritage, the campaign aims to fight discrimination Roma face as a consequence of prejudices and stereotypical images that non-Roma have about the Roma culture. 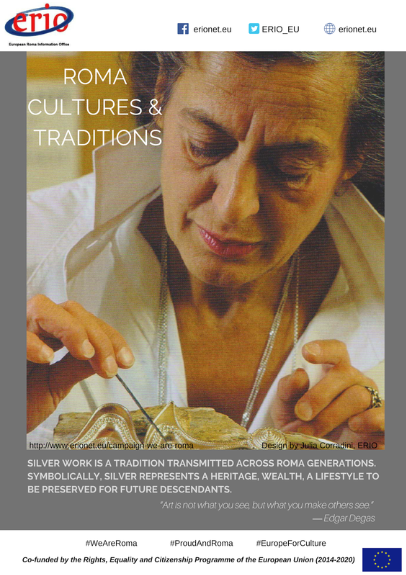 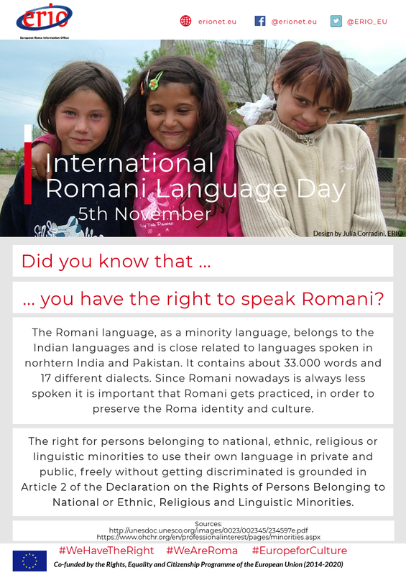 Moreover, it aims to promote Roma culture and identity. 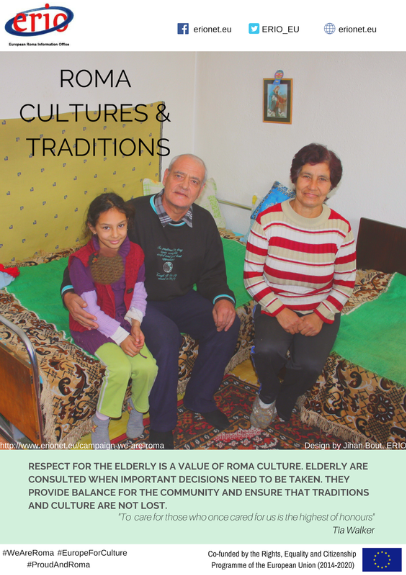 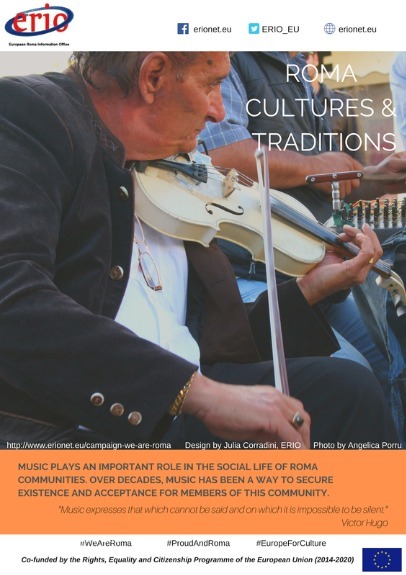 What CAN YOU do TO promote roma culture and identity? 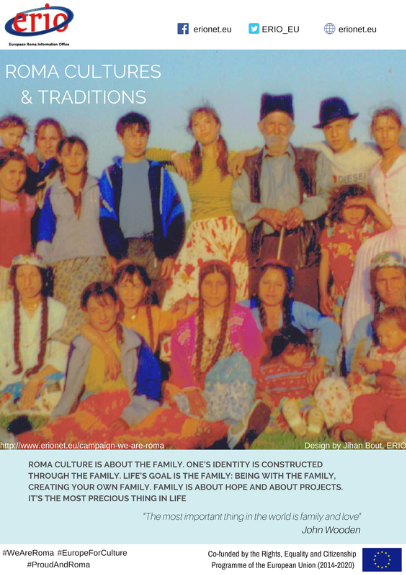 VIDEO " WE ARE ROMA"
This short video aims to raise awareness about the Roma culture(s). 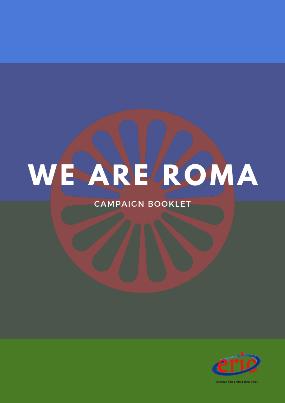 It gathers the material created in our campaign WeAreRoma.